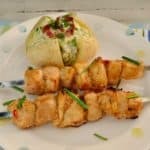 Asian Chicken Kebabs are tender, juicy and a must have recipe for your next BBQ – Quick marinade and ready to grill in 30 minutes These Asian Chicken Kebabs are hands-down our favorite. 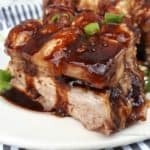 The meat are always tender and juicy and never dry out as can easily happen with Chicken Fillets being grilled. 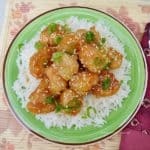 Sweet and Sour Pork is quick and easy to make at home – on the dinner table in 30 minutes and kid-friendly dish too! 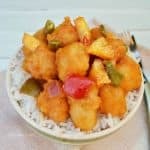 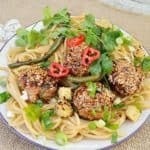 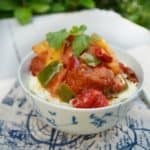 You should know by now that I absolutely love quick and easy recipes and this Sweet and Sour Pork dish is one of them. 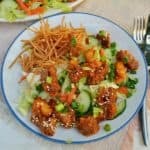 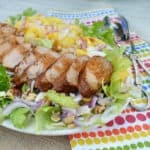 Asian Pork Tenderloin and Pineapple Salad is a hearty, filling Salad which is perfect for lunch or as a light dinner Asian Pork Tenderloin and Pineapple Salad will quickly become a family favorite. 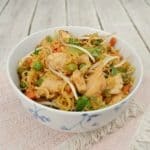 This is just one of those meals which everyone seems to love.